This Democracy Collaborative report provides the first comprehensive survey of community wealth building institutions in the green economy. Featuring ten cases, the report identifies how policy and philanthropy can build on these examples to create "green jobs you can own." Growing a Green Economy for All offers a stunning breakthrough in how we should think and act about jobs at a point at which our country should be creating 500,000 new ones each month. The idea of moving from green jobs to green ownership is one of the most powerful concepts to come down the road in many, many years. The idea that local citizens can use the power of business to cooperatively reclaim their shared economic and environmental destinies is a powerful one. This is one important new development you don't want to miss! 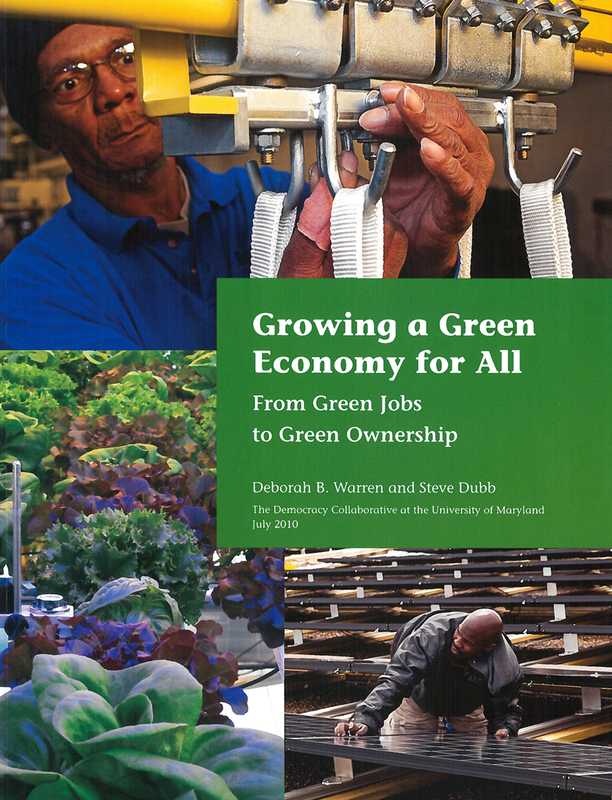 If you have ever though that democracy ought to live outside the voting booths and in our economy, but didn't say it out loud for fear of people thinking of you as crazy, then read Growing a Green Economy for All now! 120 pp. 8.75 x 11.25"